Pessac-Léognan (I preferred it when the region’s name was less of a mouthful and it was all known more simply as Graves) has a warmer, earlier-ripening climate than the Médoc and that experience seems to have better prepared its vignerons for 2018’s warmth. The reds at Pape Clément, Haut Brion and La Mission Haut Brion, Smith Haut-Lafitte, Domaine de Chevalier and Haut-Bailly were all richly ripe but intense as well. Véronique Sanders at Haut-Bailly reported the château’s highest ever analytical readings; yet for all the wine’s opulence, it still had great vigour. For Jean-Philippe Delmas, this is a great Haut Brion and La Mission year. We also visited Carmes Haut-Brion earlier in the week, and Guillaume Pouthier’s wines were a beacon of purity and creativity. It was in Pessac-Léognan that we also saw our best dry whites of the vintage. Across all the communes, the heat has been problematic for the whites, without the extra ingredient of tannins to compensate for the lower levels of acidity. All the Pessac-Léognan whites were good and relatively solid, and avoided the clumsiness we sometimes saw in the Médoc. 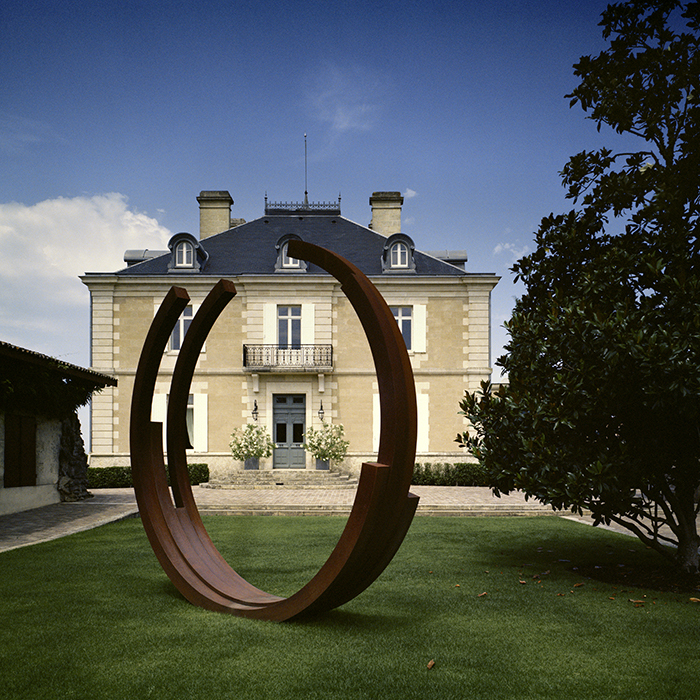 At Haut Brion, they reduced the proportion of Sémillon to allow the higher acidity from Sauvignon Blanc to be more evident. A quick word on Sauternes: the extended dry summer meant that noble rot was slow to come this year. For those that were very patient, it did finally arrive and we saw some well-made wines. But yields are low, even for Sauternes, after mildew, hail and drought all took their toll. What did get made is good, but with lowish acidity. This has been a fascinating but challenging vintage to taste and assess. Quality for the reds ranges from the questionable to the potentially sublime. The two chief challenges of the year were June’s mildew explosion and the extended dry summer, and the recurrent phrase of the week was that this is a “technical vintage”, meaning that the choices and actions for success were very much in the hands of the producer, although there were a few exceptions when nature got the upper hand. In my first report on Bordeaux 2018, posted just before the trip, I said that I had a preference for the adjective “exceptional” for really ripe Bordeaux years; that descriptor now seems prescient. There are exceptional wines, created by the long dry summer – exceptional in their composition but also, for a few, in their potential. To quote Guillaume Pouthier: “The year started like a nightmare, but finished like a dream”. Sometimes success has been achieved by finding a way to preserve freshness and, on other occasions, it has been to embrace the remarkable ripeness bestowed by the summer, and let the extraordinary tannins of the year play a different role, and to weave themselves into the wine. The red wines that are less successful this year have something of the jammy, indistinct notes of 2003 but, for the successes, many châteaux suggested a mix of 2009’s richness with 2016’s structure. For the rest, there will be a reward of immediacy but, equally, I would not rule out their ability to age, given the intensity of their tannins. My instinct is that a handful of red wines this year will, eventually, prove themselves to be (and I permit myself this indulgence) great. There is something heady and ethereal about them that could recall the magical years of past generations when it was nature, not the winemaker, that defined the character of the vintage. It is clear that Bordeaux’s 2018s are not homogenous in quality, and as such selection is vital. You’ll find our notes and scores for every release at bbr.com/bordeaux-2018. We expect the first wines to be released later this month; in the meantime, read all our coverage of the vintage here.